"For the woman who wants even her gloves to have a bit of unique style, the Santa Fe 4.0 Gloves offer just that, with decorative embroidery adorned throughout. DEFENDER insert assures waterproofing and breathability to keep hands warm and dry, while the Polygiene treatment prevents odor from setting in. 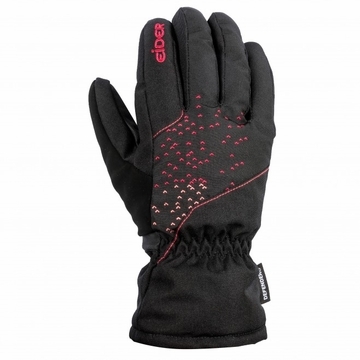 Whether skiing at the resort or engaging in a playful snowball fight with friends, the Santa Fe Gloves provide reliable warmth for enjoying the beauty of winter in comfort and style.